Straddling the line between a marijuana festival and an educational event, Hempcon showcases the latest in hydroponics equipment, smoking utensils and organizers even advertise samples from some of the more than 40 collectives scheduled to attend. Patients can find an array of exhibitors from local dispensaries and equipment manufacturers to educational services and on-site medical evaluations. It’s a place where, for those only involved in the scene on a medicinal level, can explore options for local treatment and options for ingesting as well as legal advice. However, as much as it is an event for medical patients, it’s also a celebration of marijuana culture with booth babes, clothing and other weed-related artifacts. In addition to Cappadonna, 12th Planet will perform along with a lineup of DJs, including DJ Dome, DJ Hype, Hani Naser, Louis Conte and Craig Eastman. Hempcon is also a big attraction for those involved—or looking to get into—the business of medicinal marijuana. There are numerous seminars, such as “How To Start a Delivery Business,” and the keynote speech of the event will be delivered by legal expert F. Freddy Sayegh on the convention’s final day. Sayegh is a Southern California lawyer specializing in medical marijuana issues. Cannabis advocate Jeremy Daw will close the event with his talk “The Past, Present, And Future of Cannabis.” The author of Weed the People, Daw received his J.D. from Harvard Law before becoming a marijuana advocate, especially with regard to its medicinal properties. He also serves as Editor of Cannabis Nowmagazine and is highly regarded as a voice in the cannabis movement. 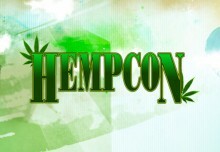 Hempcon is April 20 (11am to 9pm) and April 21 (11am to 7pm) at McEnery Convention Center in San Jose.